Animal Wildlife | Chamois | The chamois is a large sized mountain goat, native to the European mountains. 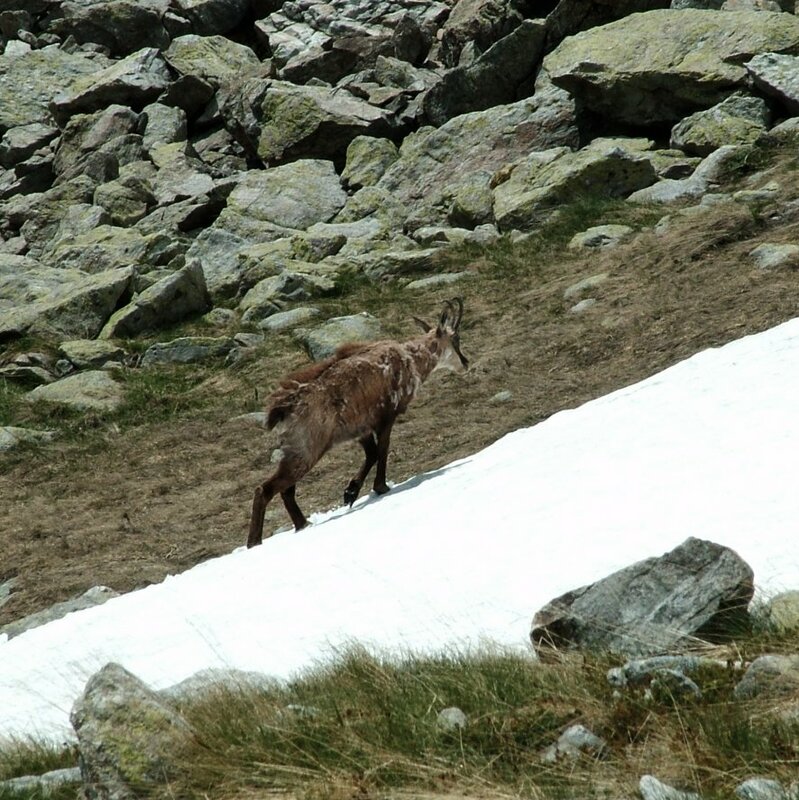 Today, the range of the chamois includes Romania, Italy, Switzerland, Austria and parts of Turkey. The chamois has also been introduced to the mountainous regions of New Zealand's South Island. The chamois is a member of the Bovidae family of animals which includes sheep, goats and even antelope. The average sized adult chamois stands at around 75cm high and weighs roughly 50 kg. The chamois is a relatively stocky looking animal, especially when compared to the average farm yard goat. The chamois has short horns, that curve backwards on both the male chamois and the female chamois. The fur of the chamois is thick to keep it warm in the alpine winters, and turns from a deep brown colour in the summer to a grey colour in the winter. 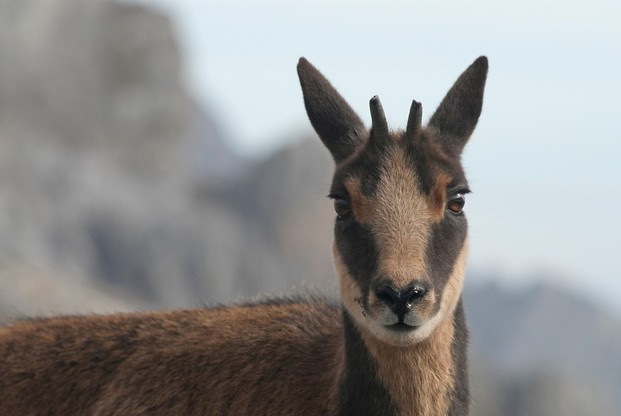 The chamois also has a white coloured face with black markings below the eyes. The chamois has a black stripe that runs along it's back from neck to rump. The male chamois is generally a very solitary animal, as the male chamois spends most of the year grazing alone and meets with female chamois during the mating season. 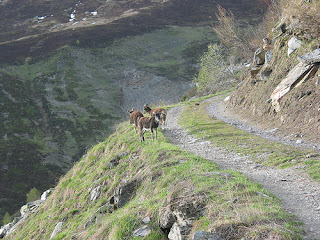 The female chamois however, live in herds with other females and their young. This safety in numbers approach helps the female chamois and the offspring to protect one another. 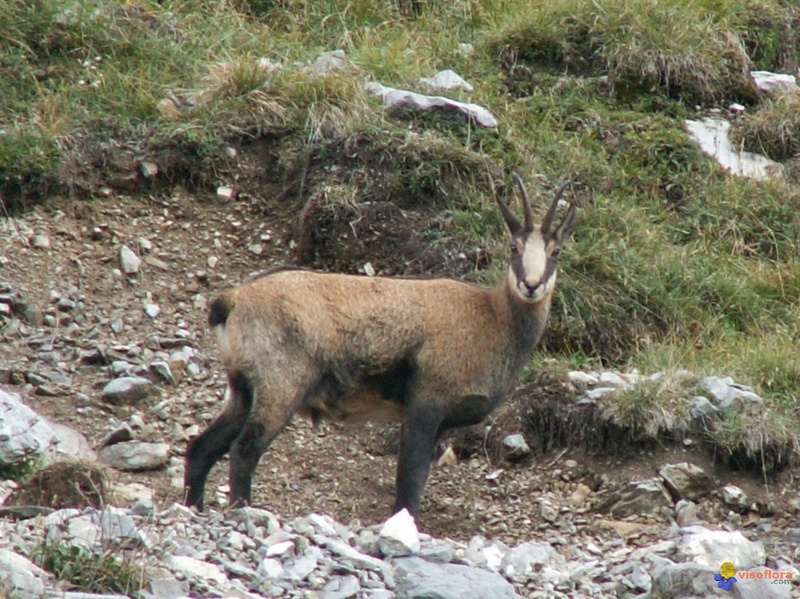 As with other animals of the same group, such as sheep and goats, the chamois is a herbivorous animal feeding on a purely plant based diet. 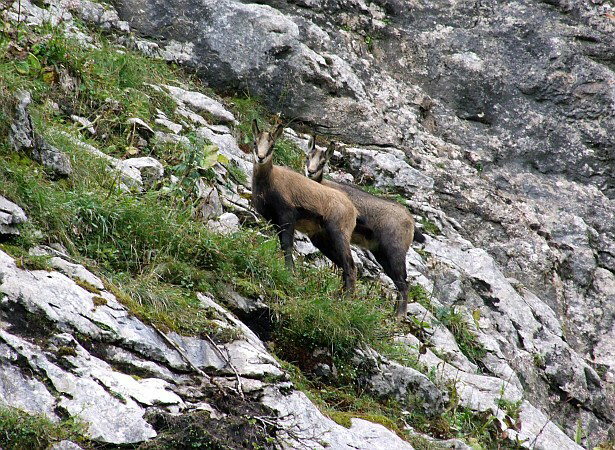 The chamois spends it time grazing on the alpine meadows and munching leaves from the shrubs and bushes. In it's natural European habitat, the chamois has a number of predators including wolves, foxes and wildcats. Over the years, the human has been one of the biggest predators of the chamois as they are hunted for their meat. 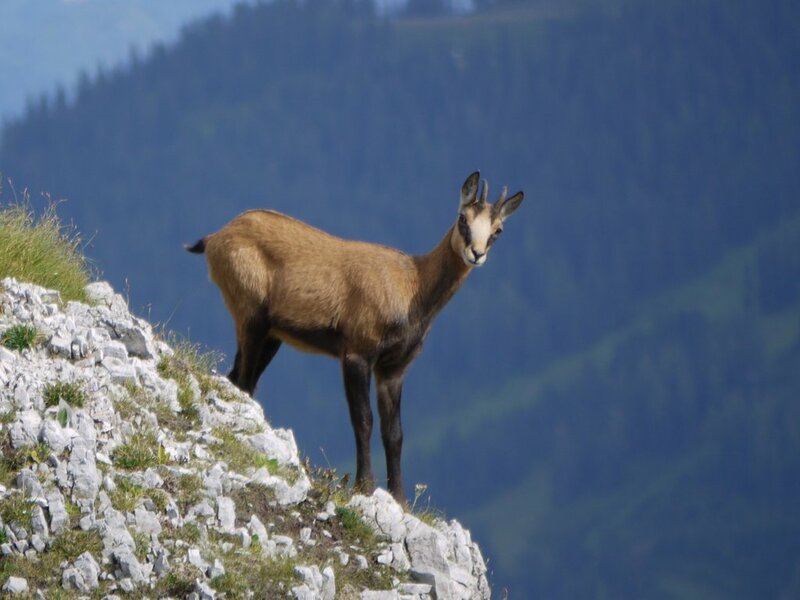 Before human settlers moved into the European mountains, the chamois would have also had much larger predators such as bears and leopards but both are nearly (if not) extinct in Europe today. There are no natural predators of the chamois in it's introduced environment in New Zealand. 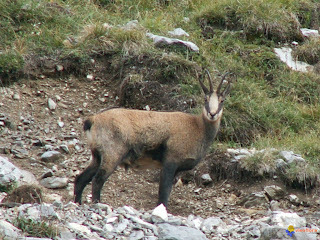 The mating season of the chamois occurs in the late winter to early spring. After a gestation period of between 5 and 6 months, the female chamois will give birth to a single chamois baby known as a chamois calf. Although the chamois has been known to give birth to twins, it is very rare. The mother chamois nurses her calf, feeding it milk until it is able to graze. The chamois calf is more independent at 6 months of age but the chamois calf tends to stay with it's mother until it is at least a year old. Generally, the chamois lives to between 18 and 22 years. Despite the fact that the chamois is not considered to be an endangered animal, or even an animal that is under threat from extinction, European laws prohibits the hunting of the chamois in order to try and conserve native mountainous animal species.